Another season, another manager as our first game of the season marks the Premier League debut of Maurizio Sarri. 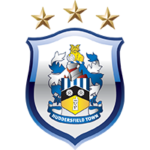 Today’s opponents Huddersfield have done a bit of business over the summer in an attempt to improve their chances of staying up again this season, and lets not forget the spirited Terriers managed a draw against us last season anyway. We’ve had key players returning late after the summer’s World Cup and Sarri has had little time to make his mark at this stage. At the risk of starting the new season in pessimistic spirits, I think we’d be mad to expect today to be a straight forward start to the new season. For Huddersfield, newcomers Ramadan Sobhi and Adama Diakhaby could start and there’ll be a late decision on loanee Isaac Mbenza. Erik Durm won’t feature. For Chelsea, Jorginho could make his first Premier League appearance, whilst Kepa Arrizabalaga and Mateo Kovacic are both also eligible. N’Golo Kante, Olivier Giroud, Eden Hazard and Gary Cahill have all taken part in training this week, so Sarri will have some decisions to make. Huddersfield’s last beat Chelsea in a league game in a Division Two game in March 1963. Huddersfield have lost 10 Premier League games in 2018, more than any other side. Huddersfield failed to score in 21 of their 38 top-flight matches. Maurizio Sarri lost his opening league fixture in his two previous top-flight jobs, with Empoli in 2014 and Napoli in 2015.